I love everything about it, The cloak, the headpiece, the hair, the boots and even the gem. But most importantly, you were even able to pull off a replica of her swimsuit! I think you did an absolutely fantastic job with this replica. Nice work! We're hanging in there after about 3 years, all of the forum switches and server changes have not done much good either, besides pretty things up. I'm slowly trying to rebuild this place into what it once was. Hopefully Storm gets into something juicy and gives Storm fans reasons to flock these boards again. We had some pretty decent activity when W&tx was going on our previous forum. I'd also love to see all your collection of Storm stuff as well. Wolfgang here at these boards has a lot of collectible Storm things as well. I'm beginning to wonder which of you two haves more stuff! 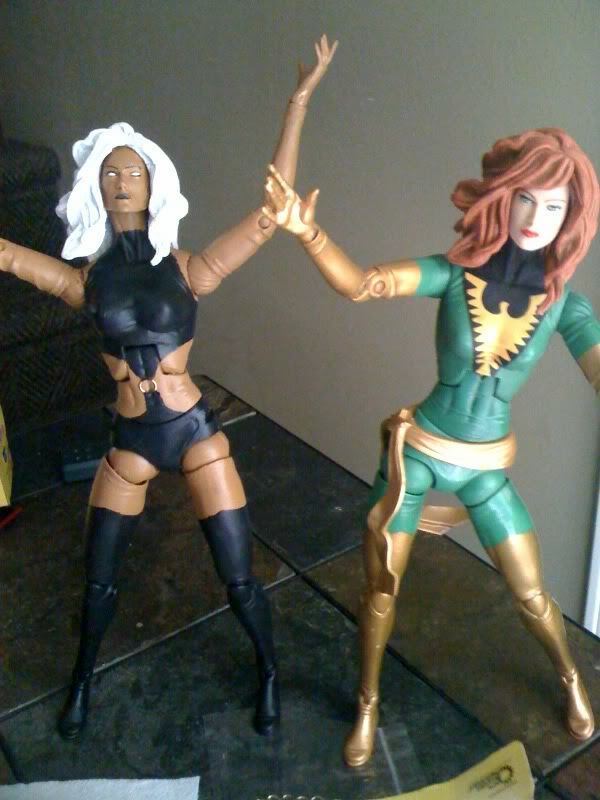 Here are 2 images of the custom Storm figure i made from a duplicate Dark Phoenix... When i saw how awesome Phoenix looked in stores, and new the line was discontinued, i decided to buy 2 of them, and make one into Storm.. I used a razor to cut off the bangs and belt, then repainted the whole body, hair and face. I then went to a craft store and bought a small gold ring and placed on her stomach. 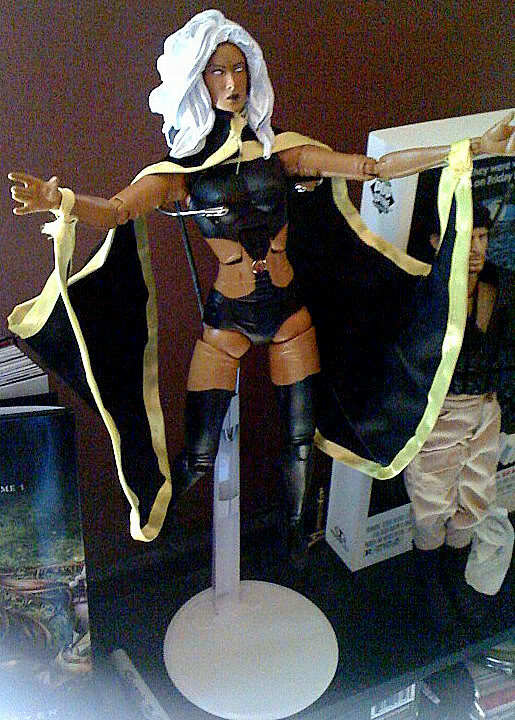 finally i bought black cloth and yellow hair ribbon and sewed them to make the cape and cuffs. i am pretty satisfied with the end results and it only took me 2 days to make... The Origins outfit of Storm is def my favorite! i have the headpiece finished, and i just realized she doesnt have it on her in the above image... besides that, i still need to paint the 3 oval holes in her boots, and I need to find something to make her mothers Ruby for her broach piece!